For a horse with less stress, more focus! Adopting Zylkene® Equine is opting for a natural nutritional supplement for horses that has calming, soothing properties without any sedative side effects! • A natural product derived from milk protein with soothing properties. • Can be used short term in horses in a stressful situation or on a regular basis to manage behaviour problems. • Palatable apple-flavoured powder. To be administered to the horse once daily; available in convenient pouches. 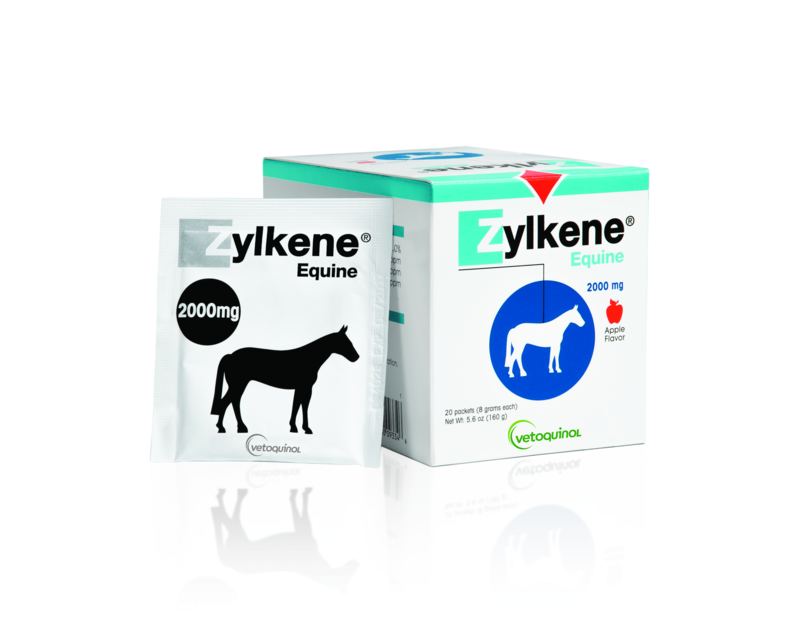 Each Zylkene® Equine sachet contains 2000 mg of alpha-S1 tryptic casein in an apple-flavoured powder. For oral use. Mix the contents of the Zylkene® Equine pouch(es) with a small amount of food, once a day. For more details on our equine nutrition line, discover our Equine performance catalog.